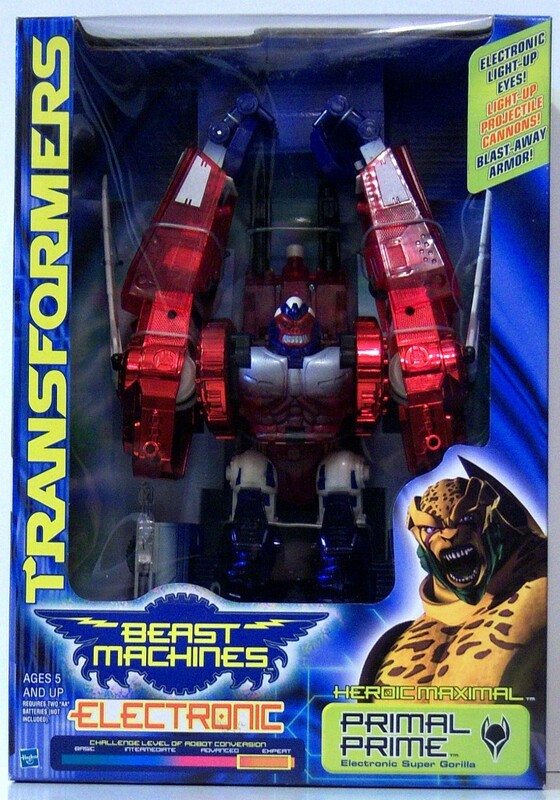 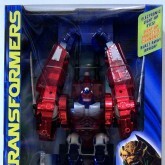 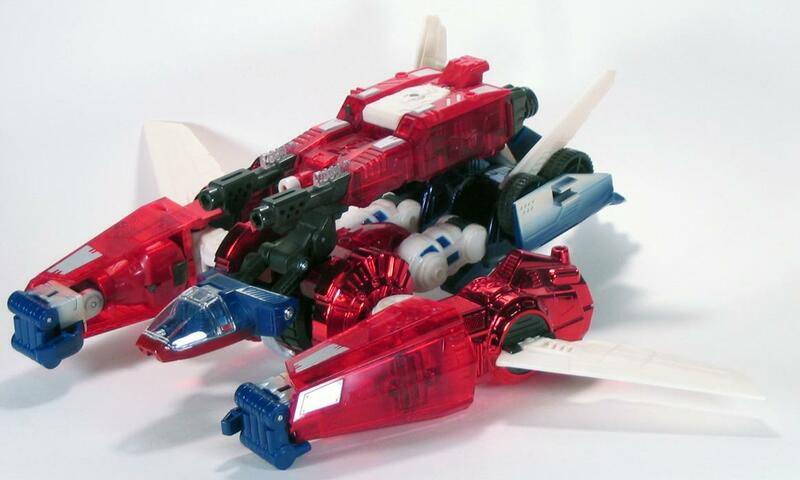 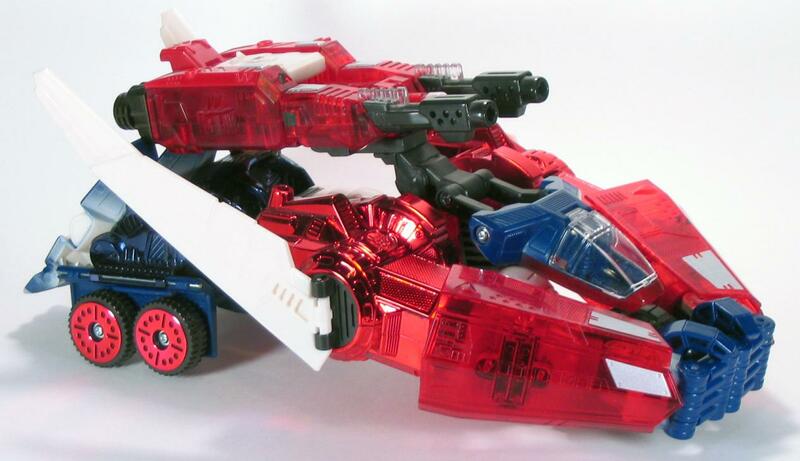 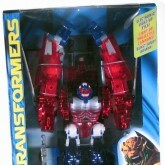 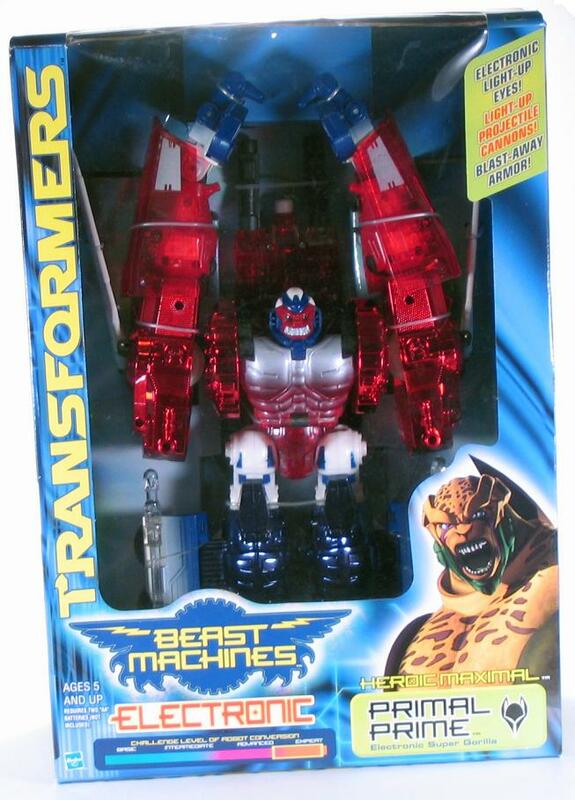 Forged from the remnants of a control suit used to manipulate Optimal Optimus during the Beast Wars, Primal Prime is a hybrid of Maximal and Autobot spark-replication technology. 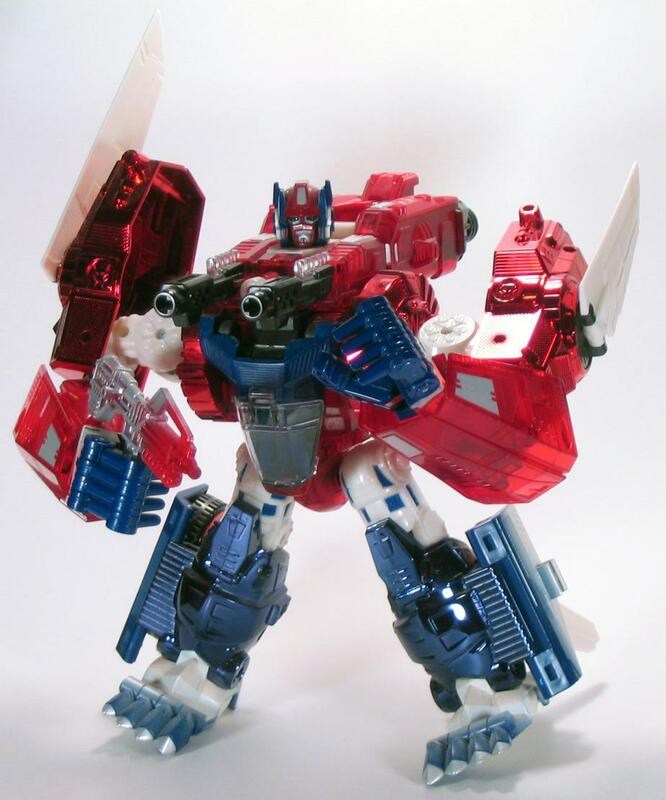 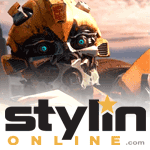 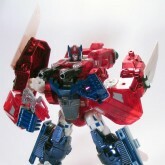 Undeniably noble and instilled with a patchwork of convictions from leaders past, he inspires Transformers throughout the galaxy with tales of Cybertron's glorious history. 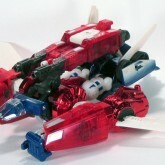 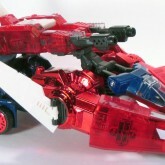 Deflector shields and laser guided incendiary missiles are accessible in each of his four modes: techno-organic beast, Cybertron air guardian jet, armored convoy and heroic robot. 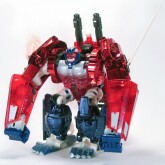 The inability to comprehend his own origin is the source of a chronic processing glitch in his laser core and his only weakness.